Tesla Model S Wagon: love it or hate it? 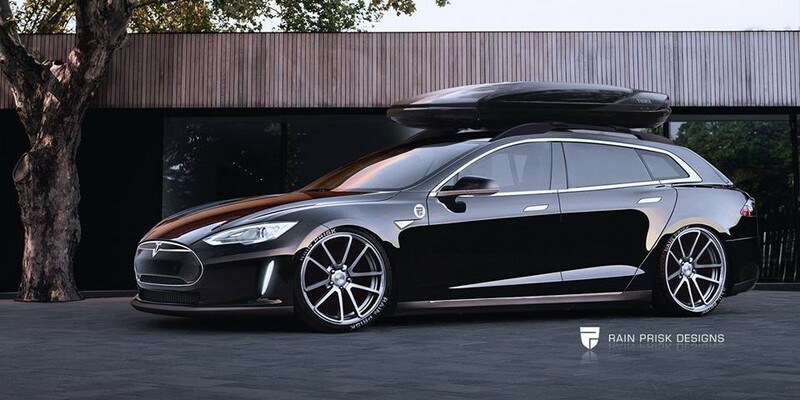 Another automotive designer, Rain Prisk Designs, released renderings of a wagon version of the Tesla Model S. To be clear, the design is from an independent artist unaffiliated with Tesla and as far as we know, Tesla has no plan to make a station wagon any time soon. Even though it’s not coming soon, if ever, it’s still an interesting design. Oversized wheels aside, I think Rain Prisk did a great job with the picture, which beautifully illustrates how well the sedan’s design transfers to a station wagon design. Aesthetics aside, the main advantage would be a larger cargo space, but with the Model S having the most cargo space out of any sedan, it’s kind of like fixing a non-existent problem. It might not be worth the range loss due to the added weight and worst aerodynamic performance.